VietNamNet Bridge – Hung Nghiep Formosa Ha Tinh Iron and Steel Co Ltd is expected to start test operating the first blast furnace of its multi-billion-dollar steel plant in Ha Tinh Province in June, according to the Vietnam Steel Association (VSA). The first blast furnace has a capacity of about four million tons per year and its products include steel plates, flat steel and hot rolled steel. When both blast furnaces of the Formosa plant are put into production in 2020, they will have a total capacity of 7.5 million tons per year, with six million tons of flat steel and 1.5 million tons of rebar and rolled steel. Vietnam has to import hot rolled steel products to meet local demand but the demand will be satisfied when the blast furnaces of the Formosa plant come on stream. 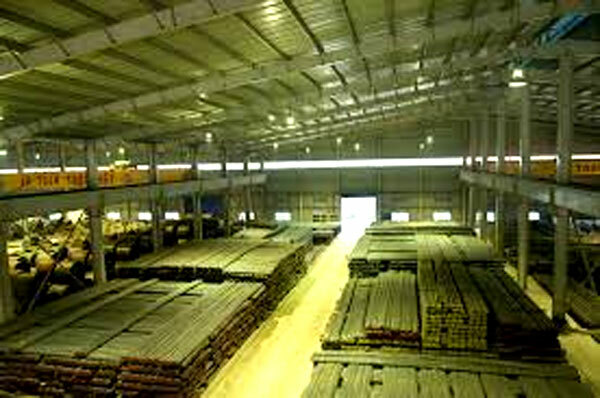 With capital of US$10 billion registered for phase one of the project, the steel mill under construction in the north-central province is the biggest steel project in Vietnam, VSA said. After phase one is completed, phases two and three of the project will be implemented to increase the capacity to 15 million tons and 22.5 million tons per year, respectively. 2,000 hectares of land and over 1,200 hectares of water surface in Vung Ang Economic Zone. In 2009, the Taiwanese company started work on the project with pledged capital totaling around US$22 billion. Major components of the steel complex are six blast furnaces having a combined capacity of 22.5 million tons a year, a 1,600-MW thermal power plant and Son Duong port able to handle 30 million tons of cargo annually. The government of Ha Tinh Province expects the project to create 10,000 jobs for local people when it is put into operation and the number will increase to 30,000 after both phases are complete. The project will help the province restructure its economy with more shares of industry and services and fuel economic growth not only in Ha Tinh but also the neighboring provinces of Quang Binh and Nghe An as well. According to the General Department of Customs, iron and steel imports from China in the first quarter of 2016 amounted to about 2.9 million tons, up 70.5% year-on-year. The shipments from Japan and South Korea jumped 50.8% and 10.4% year-on-year to nearly 745,000 tons and 429,000 tons respectively.